***Note : You need to reply to this topic to view the hidden link. 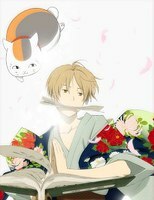 This is the third season of Natsume Yuujinchou. the season 3 or 4?